Also try: OneSearch, Where do I start? 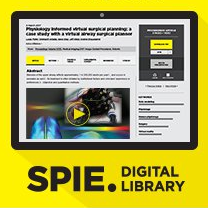 The above search includes journals, magazines, and newspapers. find a good study room? 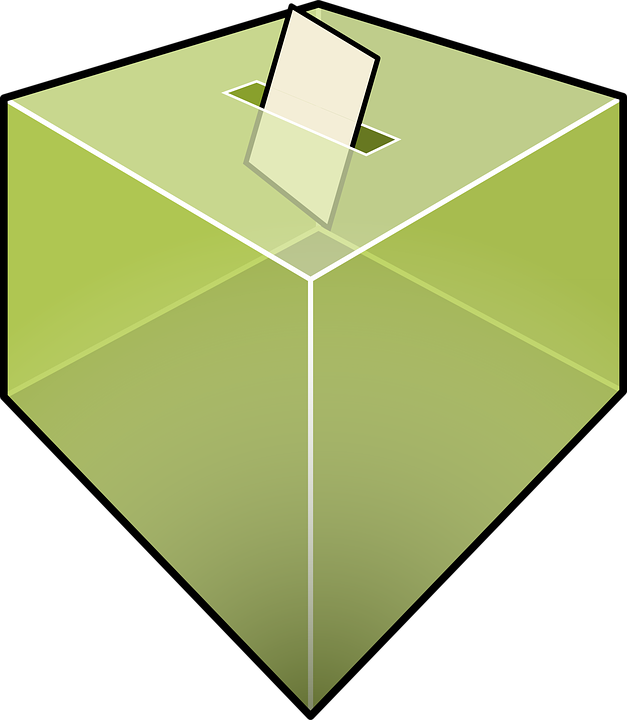 To encourage informed discussion and participation, the Library is pleased to share this short information guide on the April 2019 PEI provincial election and electoral system referendum. 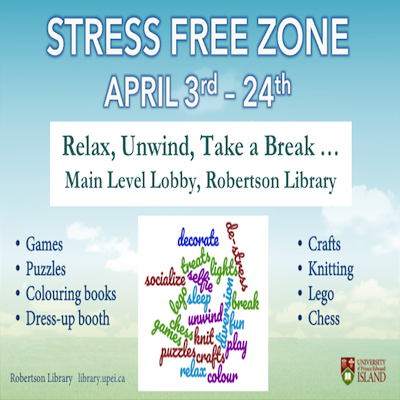 Relax and unwind in the Stress Free Zone in the Library! April 3rd - 26th. Games, puzzles, colouring books, crafts, photo booth, Lego, etc. 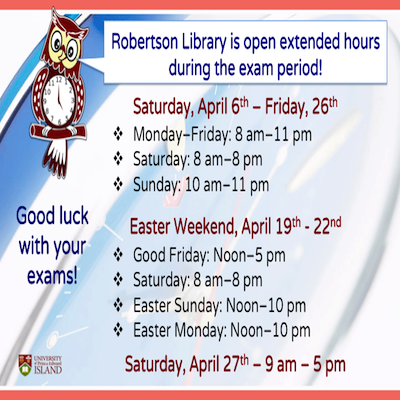 Extended hours during the exam period. April 6-26 hours: Monday-Friday 8am-11pm; Saturday 8am-8pm; Sunday 10am-11pm. Please note: Easter Weekend hours. Support the UPEI Campus Food Bank! 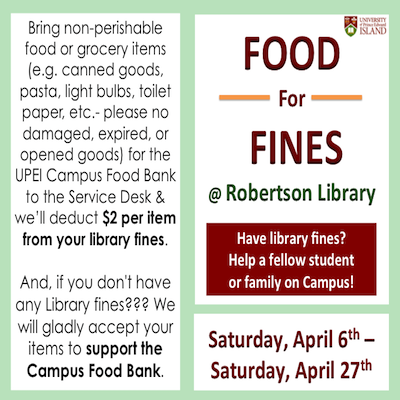 Bring non-perishable food or grocery items to the Service Desk in the Library & we’ll deduct $2.00 per item from your library fines.